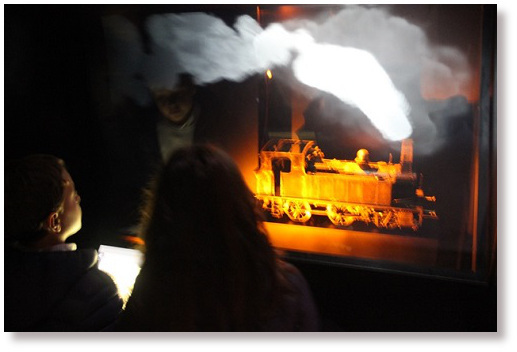 Infrabel asked us to make two interactive applications for the new Belgian rail museum. A certain wow-factor was one of the main requirements. The wow-factor lies in the use of the ancient pepperghost projection technique. Visitors are attracted by magical steam coming from a engine. 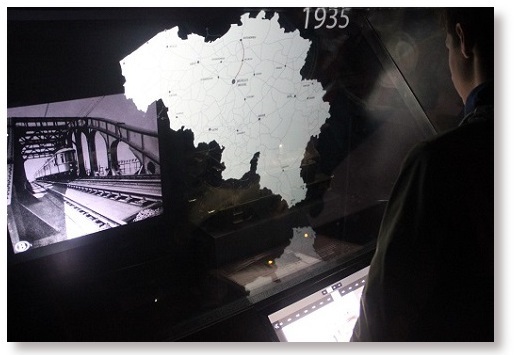 When you lay a hand on the touchscreen, the map of Belgium slowly appears through the smoke. The engine disappears in the background and you find yourself looking at pictures and video together with the railway network of the chosen year. When you descend the staircase, your attention is drawn towards life-size animated images from the photo collection of Infrabel. 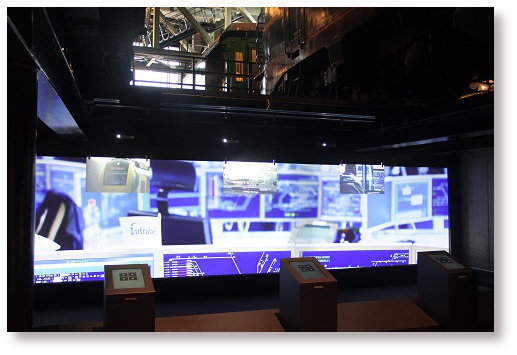 Whilst you get immersed in a gigantic landscape, you can watch a selection of films about security technology on the transparent screens.